Motion Marketing is an international specialist B2B marketing agency, partnering with businesses primarily within technology, manufacturing, engineering, transportation and energy to help accelerate their sales growth by providing a portfolio of strategic marketing services and activities. Follow the Motion Marketing blog to gain industry news, insights and to get to know the expertise of the team behind Motion. 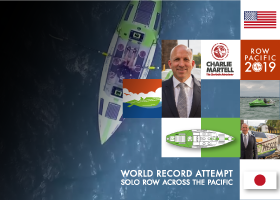 What physical and mental strength is required to embark on a solo and unsupported row across the North Pacific? We explore Charlie’s incredible 5,083-mile Guinness World Record journey. The investment in time and resources into a tender can be significant. We look at the marketing aspects you should consider to maximise that investment in a competitive situation. 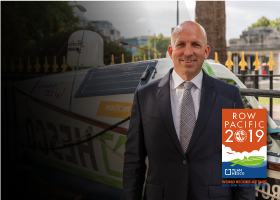 In April 2019, Charlie Martell will embark on a challenge to become the first person to row solo and unsupported across the North Pacific Ocean. We explore how the engineering of his purpose-built boat will play a vital role. There are many advantages of 3D printing for businesses, such as product testing and assembly analysis. In this blog, we explore the advantages that 3D printing delivers to product marketing. Why Does the Colour Blue Dominate Technology? Connecting with target customers is a key element of sales and marketing. One effective way to do this is to highlight how your company’s offering has been and can be utilised – ideally in an area similar to that of the target customer. Industry 4.0 is much more than an industry buzzword; it represents a significant movement in the industry and with change comes challenges. This blog explores the strategic marketing activities businesses can adopt for a smooth and successful transition. Is Your Brand Tone Deaf? “Corporate tone of voice” may sound like the kind of marketing jargon spouted by a hipster wearing wooden-framed glasses and loafers with no socks, but it’s actually an essential part of your brand identity, and one that can help to make sales. Do Your Team have the Sales Tools they Deserve? Ensuring your business has the correct sales tools can make the difference in getting access to, winning or losing a sales opportunity. In this blog, we look at ideas on how to keep up the vital stream of communication with customers and prospects in the post-GDPR age. 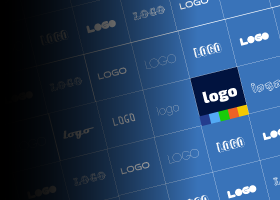 It’s a common misconception that your brand simply comprises of a logo and colour scheme. In this blog, we look at the factors which can build or break a successful brand. Motion supported customers Morris Line Engineering and PACE Networks at Infrarail 2018 to help eliminate the stress of exhibiting. Why Partner with a Marketing Agency for Your Technology Business? Technology is a highly competitive industry, and the need for successful marketing to help a business stand out from the crowd is ever more important for accelerating sales growth and achieving key business objectives. Does Your Brand Reflect the Evolution of Your Business? Every 2 or 3 years it is a good idea to step back from your business and try to view all your customer-facing channels. The Olympics doesn’t just inspire athletes, it inspires engineers – pushing the limits to maximise the performance athletes can maintain from aerodynamic body suits to their helmets, engineering plays a big role.